The most intense journey into the “sacred fire”of the soul, in search of total authenticity in the suspended gravity of absolute beauty. 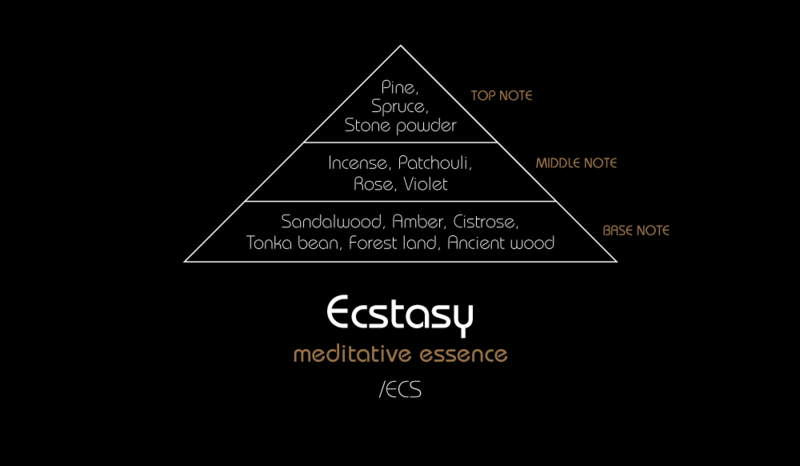 It is an encompassing, mystical fragrance: original and with a strong personality. This fragrance was created the day of the death of Padre Evelino, in a kind of creative delirium inspired by the power of eternal and surreal feelings. The emotion and transformation of these moments are captured in an indelible and cathartic memory describing the sudden spiritual transition from boyhood to manhood. It is a fragrance which strikes you immediately and completely, with the same force as a punch in the face. This is thanks to the powerful, rich top notes of frankincense; immediately after, though, it slowly opens in a loving embrace and inner awareness to the chanting of white floral notes, the mystic power of Bakhoor, and fine wood. At that moment, you sense the power of the timeless love of someone dear, a love that merges with our soul in a religion of memory that gives a new sense of security and eternal strength. Your ego merges with the great cosmic one. In your soul there is "click" as in an instant you open up to the full dimension of being "grown up".